They're being "awfully" quiet about it -- quieter than we are, anyway. People around the Alameda Naval Air Station told us it was the sound of SKY7 overhead that made them look around and notice a strange sight. 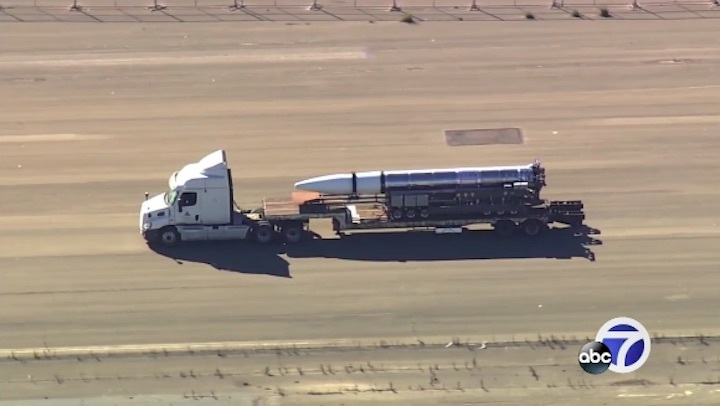 "I heard helicopters, and when I look behind me, I see a giant truck with a huge missile on it," said Faction Brewing employee Madeleine Tonzi. 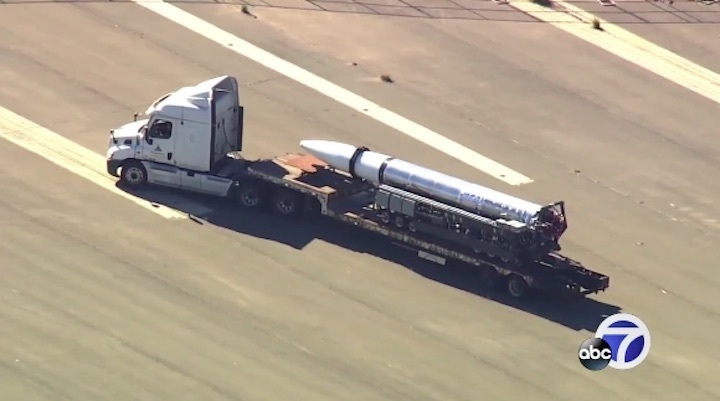 The truck had just left the runway at the Naval Air Station, and was heading toward a building the Navy once used to test jet engines. We caught up with it and learned it belongs to a startup that doesn't have a name yet -- in fact, an employee cheerfully answered the phone by saying, "Stealth space!" when we called. 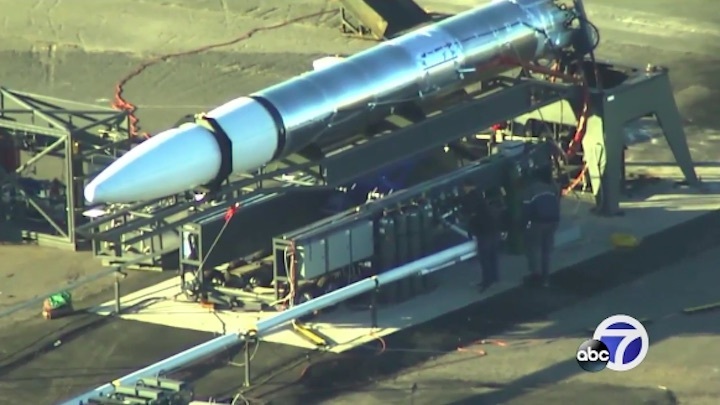 A member of the team who spoke to us outside the former Navy building told us the startup is an aerospace research and development firm that employs about a hundred people in Alameda. Other than that, the company's not ready to say much more. "It's exciting to see what's going on with the private aerospace industry," said St. George Spirits master distiller Lance Winters, who hadn't noticed that a rocket was being tested just across the fence from his tasting room. "To see it this close to home is even more exciting." Though the company isn't saying much to the press, it's talking a lot with local officials. 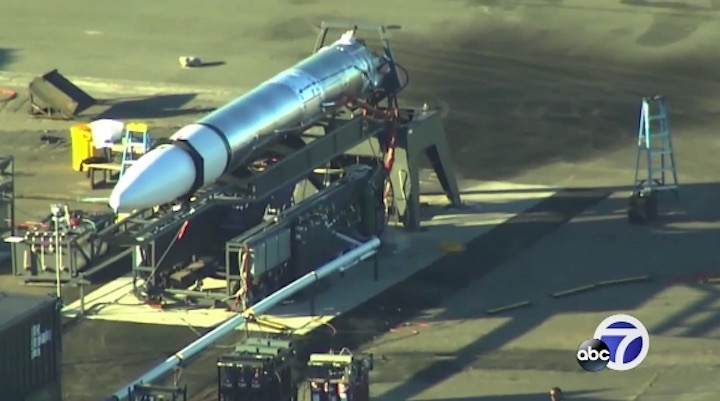 A lease application filed with the City of Alameda gives some clues about what's in the works: a rocket called Astra that the company claims is the world's smallest. 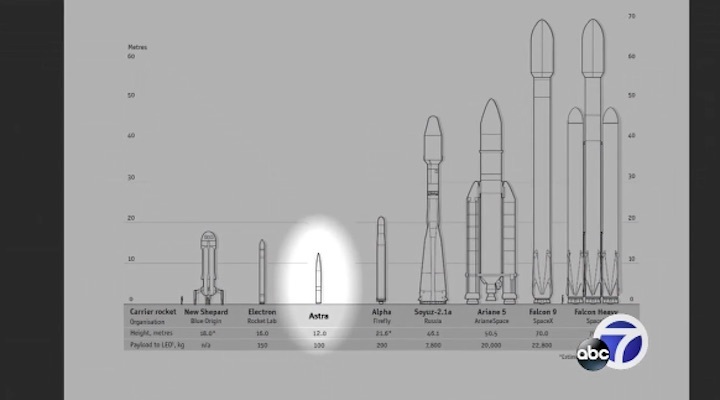 The document includes a scale diagram showing its diminutive size and capacity compared to other rockets: The SpaceX Falcon Heavy, with a payload capacity of about 56,000 kg dwarfs the Astra rocket, which is made to carry only 100 kg -- a rocket aimed at launching the new generation of small satellites, the document says. "I'd be excited to see that," Tonzi said. "I was kind of bummed that i missed out on the Elon Musk (SpaceX) launch." 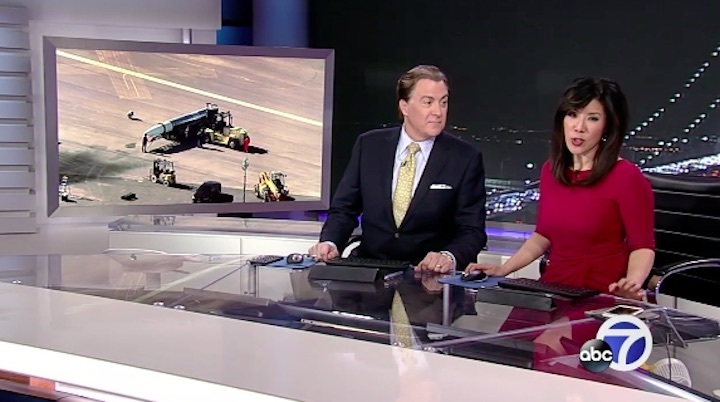 Based on the images from SKY7, the early morning activity at Alameda Naval Air Station appears to have been a ground test, not a launch -- and left black char marks on the concrete pavement. 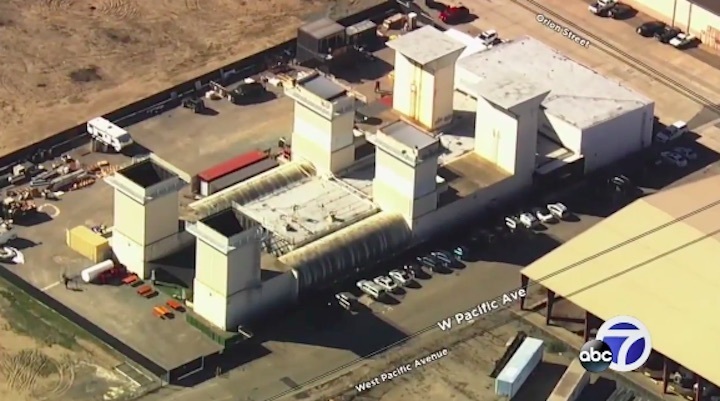 The company told us it works closely with Alameda's fire department, city officials and the Navy, and ultimately wants to work with schools as it turns the former Naval base into a space technology hub. An influx of space innovation could mean an influx of cash for businesses already at the Naval Air Station. Sales of Faction Brewing's Stratas-Beer could skyrocket, and St. George Spirits could see stellar growth. "I couldn't see getting on top of a rocket and blasting into space without a couple of good gin martinis in my belly," Winters said.